What if writing a list could literally change your life? From the ancient book of Numbers to the latest clickbait listicle, list-writing has been a routine feature of human experience. Shopping lists. To-do lists. Guest lists. Bucket lists. Lists are everywhere you look. But what if our lists did more than just remind us to buy milk and take out the trash? What if the practice of list-making could help us discover who we truly are and even point us to our deepest joys, hopes, and desires? In *Make a List *teacher, writer, and wordsmith Marilyn McEntyre shows readers how the simple act of writing a list can open doors to personal discovery and spiritual growth. 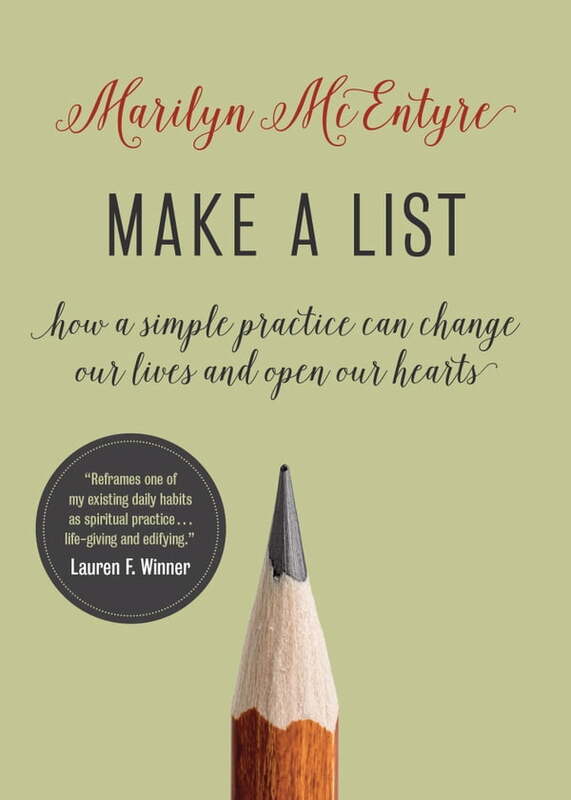 Deepening her reflections with abundant writing prompts and real-life examples, McEntyre turns the humble list into a work of art—one that has the power to clear minds, open hearts, and change lives.